My Grandpa died on the thirtieth of October. It had only been one week since he was put in hospice. He had been sick for about four years. The thing about having a sick family member is that you never know when the time will actually come. After a bit, you grow accustomed to the state of their health; it becomes routine. It was the thirtieth of October and I was stuck in New York City, miles away from my family, heartbroken and dazed by the loss that I never imagined would actually happen. The buildings began to cave in. The skyline weighed heavy. I went home that week, drowning in the deep hues of orange that laid scattered on the side of the highway on my bus ride home. It was sunny and way too blue for my liking. The falling leaves felt sharp on the concrete. I was overwhelmed. My Grandpa was probably one of the closest family members I’ve had in my life. He was funny, intelligent, honest, and mindful. I felt him that week more than I had the past four years that he had been sick. He was there for the entirety of our mourning, and he knew how bad the orange stung. I have lost many family members and will continue to do so for the rest of my life. It’s all very morbid but truthful and absolutely unavoidable. 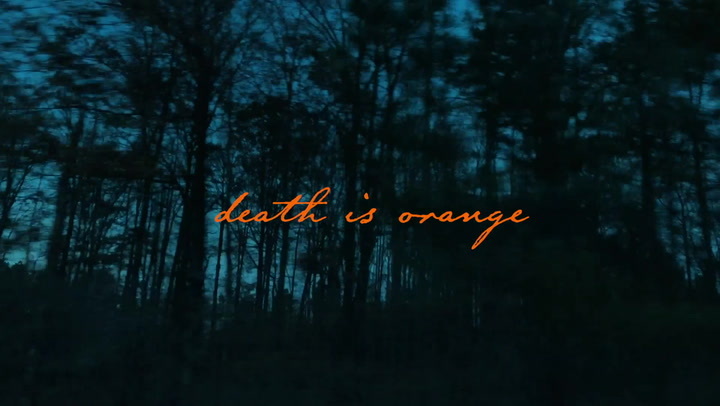 The months surrounding my Grandpa’s death were so intensely orange, and now that color is more vivid than it ever was. In what I once saw nothing but heartbreak, I now see a sorrowful reminder of life, transition, and hope.